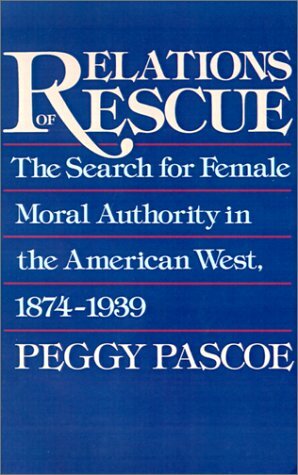 for female moral authority, analyzes the interaction between women reformers and thewomen who entered the rescue homes, and raises provocative questions about historians' understanding of the dynamics of social feminism, social control, and intercultural relations. Peggy Pascoe is Beekman Professor of Northwest and Pacific History at the University of Oregon. Home Mission Women, Race, and Culture: the Case of """"Native Helpers""""